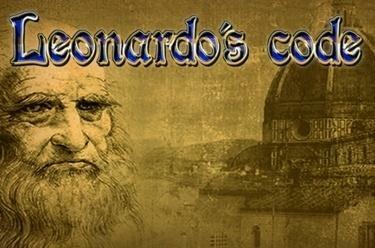 Play Leonardo's Code online for free now! 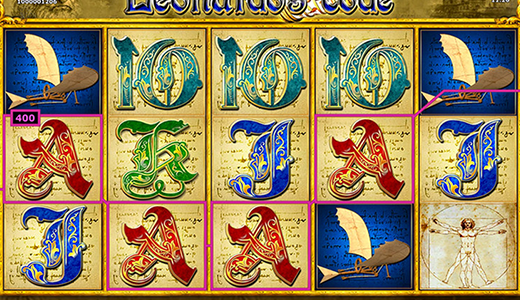 The slot Leonardoʼs Code, which focusses on the universal scholar Leonardo da Vinci, features 5 reels with up to 25 win lines. The Mona Lisa symbol scores the highest winnings. The Wild symbol - the cryptex (a scroll with symbols) - facilitates the completion of potential winning combos because itmatches all symbols in the game. When it lands 3, 4 or 5 times in any position on the reels, free games are triggered. Your aim in Leonardoʼs Code is to line up 5 identical winning symbols on one of the win lines. They all run from left to right. Renaissance artist, engineer, philosopher and scientist: That's Leonardo da Vinci, one of the most famous universal scholars. Leonardoʼs Code approaches the genius in its own way: The slot shows some of his most prominent works, above all the Mona Lisa. You should watch out for the cryptex, a mechanic combination lock riddle. If you crack it, you will gain entry to 10 free games with Bonus symbol!